Join in London’s biggest garden-visiting weekend on 8-9 June 2019. Get behind the scenes in London and explore the city’s hidden green spaces and gardens. Visit private gardens, roof terraces and large civic places. In previous years, over 200 private and little-known gardens have opened to the public during the Open Garden Squares Weekend. 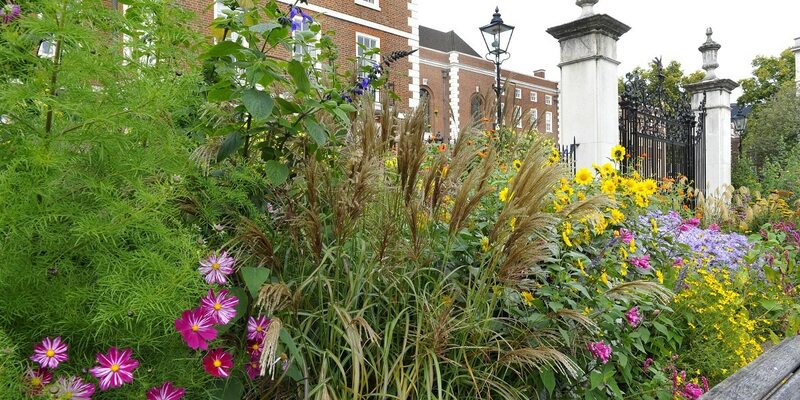 Many of London’s Georgian and Victorian squares provide a haven for wildlife and an important leafy space for city-dwellers but are rarely open to the public. As well as these spaces, there are roof gardens, community allotments and gardens on railway platforms. At the grander end of the scale, there are the more imposing Eaton and Belgrave Squares. In the past, participating gardens have included the small courtyard garden behind Rococo Chocolates in Knightsbridge and Southside House in Wimbledon. Here, you can wander amongst wilderness, woodland, secret pathways and classical follies. You can also visit the Inner Temple Garden at the heart of London’s legal profession. The three-acre site features colourful herbaceous borders awash with dahlias, alliums and geraniums, a peony garden and a walkway lined with mature plane trees and woodland plants. Close by, check out the Master’s Garden and the Middle Temple Garden. Get full details of participating gardens and opening times of each garden from Open Garden Squares Weekend.